Here's a supplement to add to your arsenal of natural treatments for osteopenia and/or osteoporosis. Here is an article summarizing the benefits of olive leaf. New research has shown that olive leaf is also beneficial for bone health. In summary, olive leaf has been shown to stimulate osteoblasts (the cells that are involved in bone growth) and inhibit the formation of osteoclasts (the cells involved in bone removal). Olive leaf stimulates bone growth. A study documenting the usefulness of Olive leaf in the stimulation of bone growth was done at the University of Cordoba in Spain. It found that "oleuropein provoked an increase in the diffentiation of osteoblasts, cells responsible for bone formation". Source: .doctac 2011. 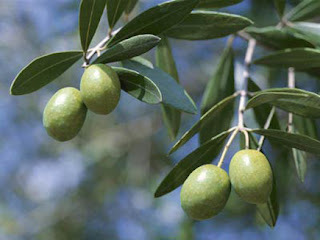 In addition there has been research showing Olive leaf as preventing bone loss. In April 2011 Japanese scientists Keitaro Hagiwaraa, Tadashi Gotob, Masahiro Arakic, Hitoshi Miyazakic, Hiromi Hagiwara published a paper, "Olive polyphenol hydroxytyrosol prevents bone loss" in the European Journal of Pharmacology>/i> stating: "Polyphenols reportedly exert physiological effects against diseases such as cancer, arteriosclerosis, hyperlipidemia and osteoporosis. The present study was designed to evaluate the effects of oleuropein, hydroxytyrosol and tyrosol, the major polyphenols in olives, on bone formation using cultured osteoblasts and osteoclasts, and on bone loss in ovariectomized mice. No polyphenols markedly affected the proliferation of osteoblastic MC3T3-E1 cells at concentrations up to 10 μM. Oleuropein and hydroxytyrosol at 10 to 100 μM had no effect on the production of type I collagen and the activity of alkaline phosphatase in MC3T3-E1 cells, but stimulated the deposition of calcium in a dose-dependent manner. In contrast, oleuropein at 10 to 100 μM and hydroxytyrosol at 50 to 100 μM inhibited the formation of multinucleated osteoclasts in a dose-dependent manner. Furthermore, both compounds suppressed the bone loss of trabecular bone in femurs of ovariectomized mice (6-week-old BALB/c female mice), while hydroxytyrosol attenuated H2O2 levels in MC3T3-E1 cells. Our findings indicate that the olive polyphenols oleuropein and hydroxytyrosol may have critical effects on the formation and maintenance of bone, and can be used as effective remedies in the treatment of osteoporosis symptoms." Additional information on natural alternatives to prescription medications can be found here... highly recommended! There is a free monthly newsletter that you can sign up for here which will keep you up to date on the latest research/natural options for battling bone loss. I don't have a specific brand/dosage of Olive Leaf to recommend to you... you'll have to do your own research to make an informed decision. For now, I have simply purchased olive leaf from Amazon, but I haven't yet done enough research to recommend a certain brand... I'm still learning here too! Hope this is helpful.... bone health is so important! Do your research, take responsibility for your own health and stay strong ladies! Interesting. I've never heard that one before. Hope you are feeling ok and recovering well. I might just head on over to your gluten-free recipe page. You have some interesting posts. ~Salome~ nice to "meet" you here! Thanks for stopping by! Kathy, I'm glad that you commented on this. Honestly, in the midst of the craziness that has consumed my life during the past 2 years I had forgotten to use Olive Leaf Extract. I'm going to add that back to my list of supplements that I am taking. And yes, I have had another DEXA scan done. It's a bit tricky to compare my previous scans to my most recent ones because I now have metal (screws) in both hips and in one wrist (fell this spring and shattered it, necessitating more metal to reconstruct it! ), so those bones/joints were not an option to scan. It appears that I am doing okay, definitely not worse, so that is good! Thanks for the reminder and for your dosage info too! Sure Susan! This getting old stuff is not for sissies, huh? The Ruffled Messenger Bag Tutorial!